Athletes are most times exposed to stress and tension due to the demanding nature of the activities they partake in. This negatively influences their psychological processes, and has an effect on how they think, behave and feel. Athlete’s sporting activities require them to be at their best at all instances, and as a result they must by all means be fit and healthy. It is important to note that these pressures can affect an athlete’s mental health. Demands in the athletic environment are quite enormous. Daily practices, strength and training programs, traveling for various competitions, rehabilitation and treatment appointments for athletes that sustained one form of injury or the other poses a challenging schedule. Athletes that takes part in competitions at various levels are exposed to significant amount of stressors which may increase the tendency to develop mental health issues. They face stress and pressure in competing and they are open to anxiety to win at all cost, and depression if they end up not winning. Also, there are other challenges which they are exposed to which includes sustaining physical injuries, issues with their level of performance or relationship crisis with other teammates and coach, frequent exhaustion from the harshness of training. All these can lead to the athlete facing post traumatic health issues and also problems of depression. One of the concerns about this issue of mental health is that it might not only affect their performance in sports but also their well-being generally. Depression and anxiety has not only been found to be significant causes of ill performance in sporting activities, but also relates to other alarming issues such as mental disorders at its aggravated state. The need for an athlete to perform excellently well and even outperform other athletes in a competition, is an enormous one and as such, there is a desperate need to always keep fit at all times. They are expected to have maximum level of endurance and strength for their performance. They engage in various rigorous activities that requires them to train and exercise constantly. Occasionally, during the course of a sporting activity they may encounter and sustain severe injuries to show the difficulty of the activities they perform. They endanger their lives now and then to make sure they are successful in what they do. Sometimes, all these activities pose a negative impact on the health of the athlete, most especially the athlete’s mental health. Coaches, managers and owners. The authority figures over a professional athlete are of course their coaches, managers and owners. These are the people in the athlete’s life who invest training, coaching, managing and employment into the athlete, making the athlete their personal investment. This is typically where the heaviest pressure to perform comes from. Coaches, managers and owners can sometimes apply pressure militantly on the athlete, causing a great deal of mental stress. Fellow athletes. An athlete’s peers or teammates also play a role in putting pressure and expectations on them. If the athlete’s performance is declining, often their teammates will hold them accountable for their poor performance. To a degree, this can be healthy, but it often becomes malicious and highly critical, which puts a mental strain on the athlete. Fans. An athlete’s fans, though well meaning, can sometimes put undo pressure on an athlete by expecting super human abilities out of them. Every professional has bad days sometimes, but a professional athlete’s are much more public. Fans can be very vocal and critical of an athlete when they feel that they have let their team or their locality down. An athlete who is also a people-pleaser can take this very hard. Family. Surprisingly, even family can apply undue pressure to athletes. Sometimes parents are the original source of pressure in an athlete’s life. When parents discover a talent that their child has, sometimes they push their child too hard to excel at it, which includes athletics. Some athletes feel pressured to perform well by family members their whole lives long. 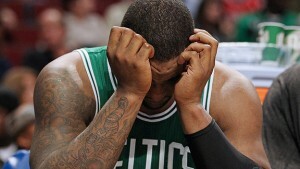 Professional athletes are individuals who face unique forms of stress in their workplace. No other profession is as physically driven as that of an athlete. Their bodies are their instruments of workmanship and they spend a rigorous amount of time keeping them strong and performing functionally. When an athlete has a successful performance and their body works the way they intended it to, they are in a great place mentally. But when they give a poor performance and their body does not function the way it should, or even worse their body is traumatized by an injury, they are not in a good mental place at all. People seldom consider how the physical stress an athlete goes through translates to their mental stress, but it is very common. 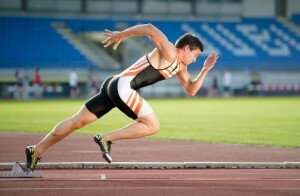 Physical stress is initiated into an athlete’s life on a regular basis. Because their bodies are the tool they use in their work, their bodies bear the brunt of the hardships of their work. 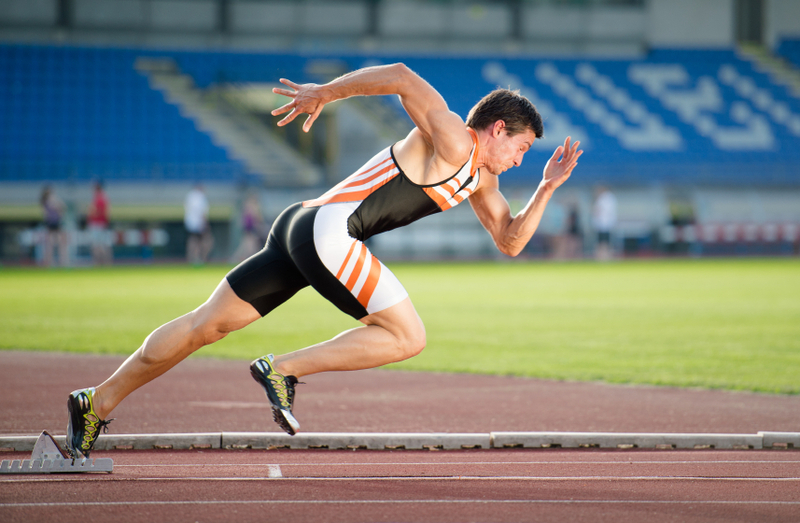 Training and performances or competitions alike are extremely physically taxing on athletes. They come away with sore muscles and hurting joints, in need of physical therapy, heat and ice. Some athletes sustain major traumatic injuries while others may sustain a gradual overuse injury. It is almost inevitable that every athlete will endure a serious injury over the span of their career. What non-athletes do not realize is that the physical stress that athletes go through translated directly to mental stress. An athlete in perfect physical condition is likely to feel confident, secure and unstoppable, but this feeling does not last long for most athletes. Every day, they are put into dangerous physical situations that threaten their physical wellness. When an injury finally does catch up to them, they are instantly battling dark thoughts of what will become of them. Every athlete knows that a serious injury can end their career. All of their hard work and physical training can be undone by a serious injury. An athlete’s mental strength is severely put to the test by the physical stress they encounter. Athletes who are experiencing mental stress may want to spend time enrolled in a mental health treatment program in order to regain their mental clarity before taking on more challenges. The schedule an athlete lives under can be grueling, allowing them no personal time to themselves to recuperate. This is a common problem among pro athletes and anyone with a celebrity status. Because they are such a valuable commodity to their industry, they begin to be treated like a commodity: something that has been found to be successful and is therefore made overly available. Athlete’s managers and agents can be brutal on their athletes in the sense that they overfill their schedules with events and commitments, causing stress and lower mental health in the athlete. The elements of an athlete’s job are difficult enough to cope with. The pressure to outperform themselves and their competition is immense, and the ramifications of failing at this can be devastating for an athlete’s mental health. Their work schedules are highly demanding, with coaches and managers on top of them during training and during competitions. A win is an incredible high, but a loss is devastating. The job can also cause horrible injuries from which there is no recovering. Instead of being able to soothe themselves in their off time, like other working professionals, their personal calendars are filled up with PR events, media appearances and other events that seek interviews and appearances from professional athletes. Pro athletes often obtain a celebrity status that makes the expectations on their publicity very high. The life of a professional athlete is not a restful one. Some athletes meet these expectations with a sturdy foundation, but others become mentally overwhelmed and have no outlet for the stress and pressure of their profession. The life schedules that professional athletes maintain are highly taxing. The average person cannot appreciate how stressful the pressures on an athlete’s body and mind are. Between the enormously high expectations on their physical performance, the grueling training, the threat of injury and the absence of free time, it is amazing that more athletes do not receive professional counseling. Athletes are professionals who are at a much higher risk of sustaining brain injuries than others. Particularly in rough contact sports such as football and rugby, athletes can be prone to head injuries that cause permanent or temporary brain damage, altering how the athlete perceives and interacts with the world around them. This is a very important consideration to an athlete’s mental health considering that they are susceptible to losing brain function, and in so doing, suffering grief at the loss of their brain function. When an athlete experiences a head injury and brain damage is the consequence of it, the athlete will have to adjust to life with lower brain function. This means lower cognition, less clarity and/or the inability to process certain pieces of information. Brain damage happens to many people who go through accidents, and it is known to be one of the hardest conditions to live with. Understanding and acting on certain things is changed forever. The individual is forced to relearn how to do a number of basic things and relearn processes that are second nature to others. They need to adjust their lives around their condition and live with the knowledge that they are not as free and flexible as they used to be. The emotional hardship that an athlete goes through when they lose brain function is debilitating. Most people who sustain brain injury have a memory of how they used to be able to do things and the difficulty of coping with their personal loss is immense. Many experience incredible frustration at the inability to function like they used to. It is not uncommon for a person to fall into depression over their brain injury because of how hard coping with it can be. Athletes are rugged, independent people who are accustomed to fighting their own battles and coming out on top. Some manage brain injury gracefully while others go through extreme devastation over it, significantly lowering their mental health.